The Houston Astros may not have been among the most active teams at the MLB winter meetings this past week, but that doesn't mean they will remain that way. 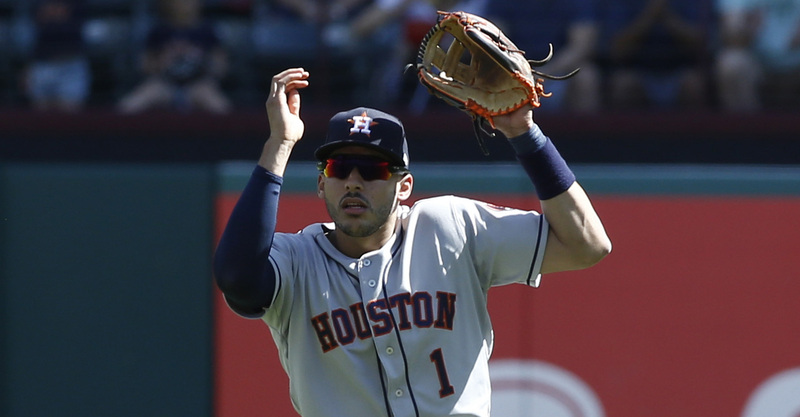 The Athletic's Ken Rosenthal reported Saturday that Houston's had discussions with free agents Nelson Cruz and Michael Brantley. The club is also open to trading outfielder Josh Reddick. Adding either hitter would strengthen a potent offense, as both were 2018 American League All-Stars. Cruz has been one of the game's top sluggers over the past decade, averaging 34 home runs since 2009. The 38-year-old DH hit .256/.342/.509 with 37 home runs, 18 doubles and 97 RBI in 144 games for the Seattle Mariners in 2018, marking his fifth consecutive campaign with at least 37 dingers. Since he spent four years in Seattle and eight with the Texas Rangers, Houston has seen plenty of Cruz in the AL West. He is a career .258 hitter with 13 home runs in 60 games at Minute Maid Park. The 14-year veteran made just 57 outfield appearances over the past three years, though, including nine since 2017. Meanwhile, Brantley bounced back from a pair of injury-riddled years, hitting .309/.364/.468 with 17 home runs, 36 doubles and 76 RBI for the Cleveland Indians in 2018. Per Rosenthal, the 31-year-old left fielder is open to playing first base. With 2017 American League MVP Jose Altuve leading the way, the Astros were a top-10 offense in both batting average and home runs last season. However, they couldn't defend their World Series crown. The Boston Red Sox dispatched them in five games in the ALCS, even though Houston's pitching staff had baseball's best ERA.